Cereus Network sites Absolute Poker and UB.com (formerly known as UltimateBet) waltzed off into the sunset owing their players tens of millions of dollars, and its likely that tens, perhaps even hundreds, more millions were siphoned out of the AP operation during its near decade-long run. One might think that Scott Tom was a pauper, were one to take some of the reports at face value. His father, former AP Chairman of the Board Phil Tom, put up the $300,000 in bail money that was then translated into the monetary settlement due as part of Tom’s plea deal. Father Phil also arranged for the hiring of James Henderson, a pricy Vegas attorney with quite a bit of experience in gambling matters. Among other representations, Henderson worked on the old WSEX (World Sports Exchange) case. Such attorneys don’t come cheap, and there’s all indication that Scott Tom has plenty of money squirreled away from his AP days. Several hints come from Tom’s pre-sentencing submission, which we referenced earlier today. First, Tom is quite willing to just walk away from another $25,000 that’s being held in a trust account for contingency needs. Really. Who volunteers to hand over an extra $25,000 when a fine ($300,000) has already been agreed to? Someone for whom $25,000 is of little consequence, is who. Despite his resignation, however, Mr. Tom, on occasion, subsequently provided minor assistance to the company in terms of consulting advice relating to product development, in order to assist the company in its continued operation. Mr. Tom, subsequent to his resignation from the company, became involved in farming and selling teak trees in Panama and subsequently moved to Antigua where he has been employed in a non-gaming capacity in a completely legitimate fashion as detailed below in this memorandum. Yet Scott Tom was in some ways a prisoner in the Caribbean, only able to travel to nations that the US’s extradition treaties didn’t reach. He long ago ditched his US citizenship in favor of one from St. Kitts and Nevis’s “Citizenship by Investment” program, in which wealthy individuals with need for a new nationality simply plunk down a chunk of change — it was $250,000 in 2012 — for a spankin’ new visa. If you’d like to read a little more about that program, check out this Reuters report from five years ago on the island’s practice. And yes, that is Dan Bilzerian’s brother, Adam, in the photo accompanying that piece. As for Scott Tom, it appears he had plenty of money and was looking for a way to invest some of it. 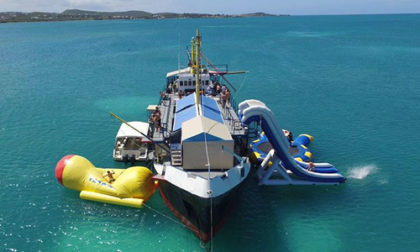 So he launched an exclusive party boat called D-Boat Antigua, which sits atop a decommissioned and repurposed oil tanker, moored just off Maiden Island near Antigua’s Shell Beach. D•Boat is a never before seen entertainment center and a must see attraction when visiting the Island on Antigua and Barbuda. Converted from a 1974 Oil Tanker into a state of the art offshore experience. 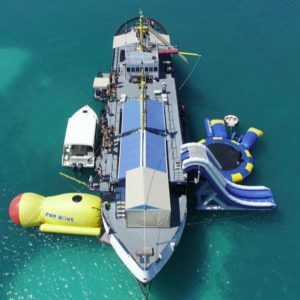 D-Boat has it all Out on the ocean, beautiful views, constant entertainment, water park with water activities, great food, amazing drinks and best of all an experience you have never felt or seen before. Come find our transfer boat pick up, located by Shell Beach Marina, Behind the Airport in Antigua. The fun begins with the transfer from the docks to Dboat. At least one well-known poker pro, someone whom I’m good friends with, has visited the floating party boat and even liked it on Facebook I wouldn’t be a bit surprised to learn the player had no clue that Scott Tom was behind the party-boat operation, even if this player does have some poker-world links in that direction. At least this writer can admit that Scott Tom got himself into a field that he knows plenty about: Absolute Poker’s booze-and-drugs parties were legendary within the industry. That is certainly not Prime Minister Gaston Browne in the photo so how much of the rest of the article is accurate? 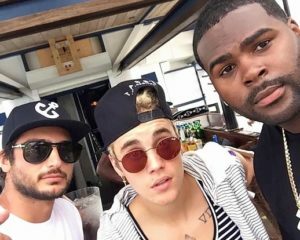 Bieber-Browne segment clarified, and link added to a YouTube video where you can see the photo itself. It’s also available in a story at the Antiguan News from 2016. Story is accurate, thanks for stopping by. It’s the PM’s son in the picture. 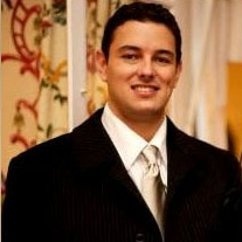 He too is named Gaston Andron Browne.